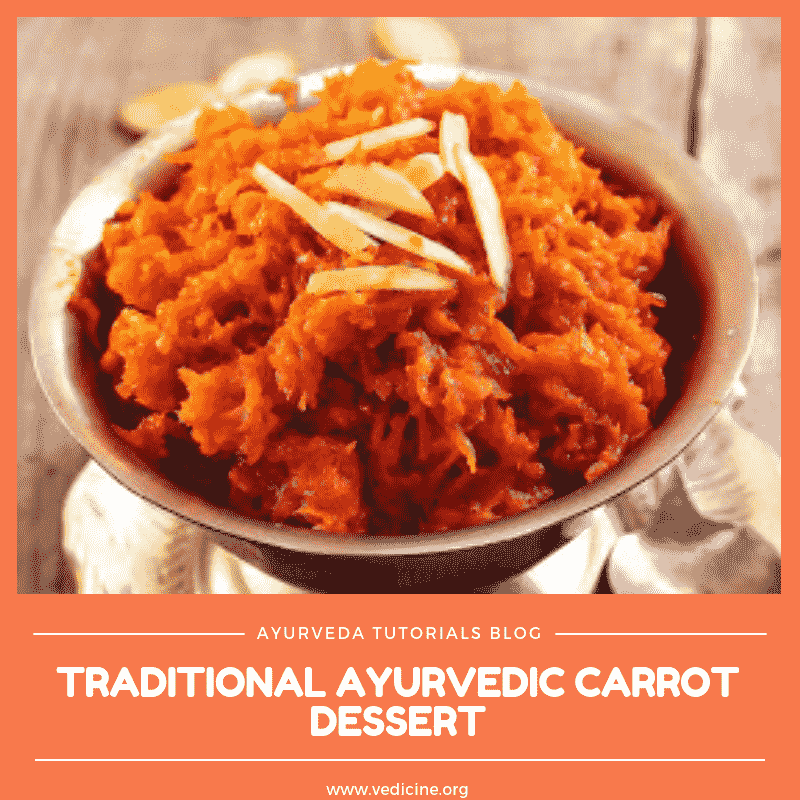 Gajar Halwa is traditional Ayurvedic carrot dessert which is perfect for balancing the Vata dosha. When Vata dosha is not balanced you may experience dry skin and hair, anxiety, insomnia, nervousness, constipation, spasms, body aches, irregular menstrual cycle, joint pain or low body weight. Vata dosha naturally increases in the body during cold and dry weather. 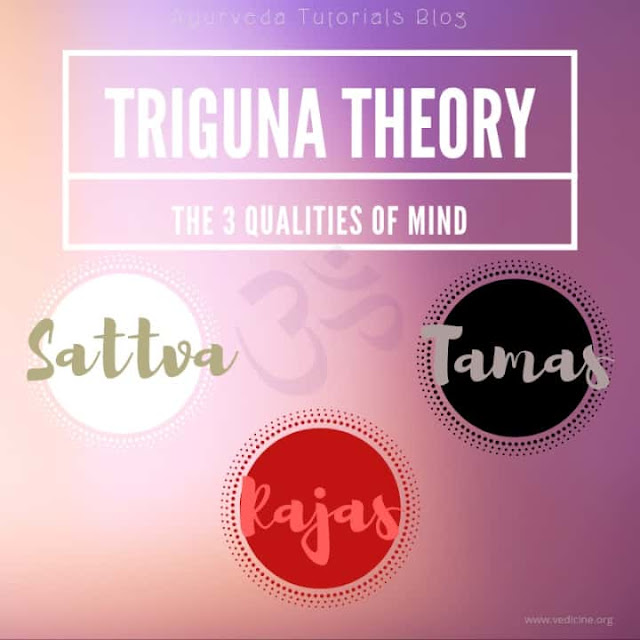 Drying effects of heating systems, staying up late, frequent traveling, strenuous exercise, talking too much and improper eating habits can also aggravate Vata dosha. Lubricating, nourishing and cooked foods with heating and grounding properties will balance Vata dosha, and it will get aggravated with food of opposite qualities. Read more here: The Ultimate Food List For Vata Dosha. Cooked carrots have sweet taste and hot potency. The sweet taste is nourishing, grounding and soothing for body, mind and sense organs. It boosts energy and increases the strength of 7 dhatus (bodily tissues). However an excess of sweet taste can lead to lethargy, obesity, diabetes, swelling etc. Hot potency pacifies Vata and Kapha dosha and aggravates Pitta. Eating carrots and other root vegetables may help in the opening of the Root chakra. 1. Wash, peel and grate the carrots. 2. Heat a pan and add 4 tbsp of ghee. 3. Add in the carrots and cook for 5 minutes. 4. Once the carrot is soft add in the hot milk and cook slowly for 20 minutes. Stir occasionally. Add in the sugar and cook for another 10 minutes until thick consistency is obtained. 5. In a separate small pan, roast the nuts with 1 tbsp of ghee. Sprinkle with cardamom and roasted nuts and serve it warm in small dishes.